When Steve Jobs said, "There's an app for that," he was introducing a new culture of applications into the business world. Nowadays, enterprises really do have an app for everything, and if they don't they are working on new tools and solutions for both employees and customers. Between mobile and the need for software, businesses have bitten off more than they can chew when it comes to application development. CA Technologies called this the time of the "software-driven" enterprise, as 78 percent of executives and business leaders said that their organizations' handle on applications is a key factor in determining their success relative to competitors. After all, without high-performing, custom enterprise software for employees, a company will struggle to maintain a productive and happy workforce. Likewise, a broken or relatively unimpressive mobile app will turn consumers away from brands, since customer experiences matter more than ever. "The app dev skills gap was the most-cited problem of businesses in the modern 'apps economy.'" However, a skills gap exists with respect to application development, and as a result, many organizations will struggle to create, deploy and support their applications - whether customer-facing or internal. According to CA Technologies' report, this canyon between talented developers and corporate application requirements was the most-cited problem in the modern "apps economy." Businesses can find some skilled professionals, but they cannot find enough. Other studies support the existence of the skills gap, as well. Beta News reported on a mobile trends study conducted by IDC, and research found that approximately 41 percent of decision-makers rank the lack of talent as their No.1 challenge when it comes to application development. According to the source, this issue is more serious than finding skilled developers: Many don't understand certain programming languages, while others cannot grasp the database integration aspect of development and some fail at adopting internal app creation practices. Furthermore, expectations are far too high, especially given the paucity of developers on the job market. Some enterprises think that their small app development teams are capable of cranking out software on a regular basis. A study from 451 Research found that almost 60 percent of businesses with a goal of developing over 20 employee-facing applications also believe they can create and deploy more than 20 pieces of software for clients and consumers. In this regard, companies are creating their own skill gap by requesting at least 40 applications. The application development skills gap shows no sign of closing anytime soon, but that won't stop the demand for enterprise, Web-based or mobile software. Therefore, organizations have tried to find a solution to the problem. 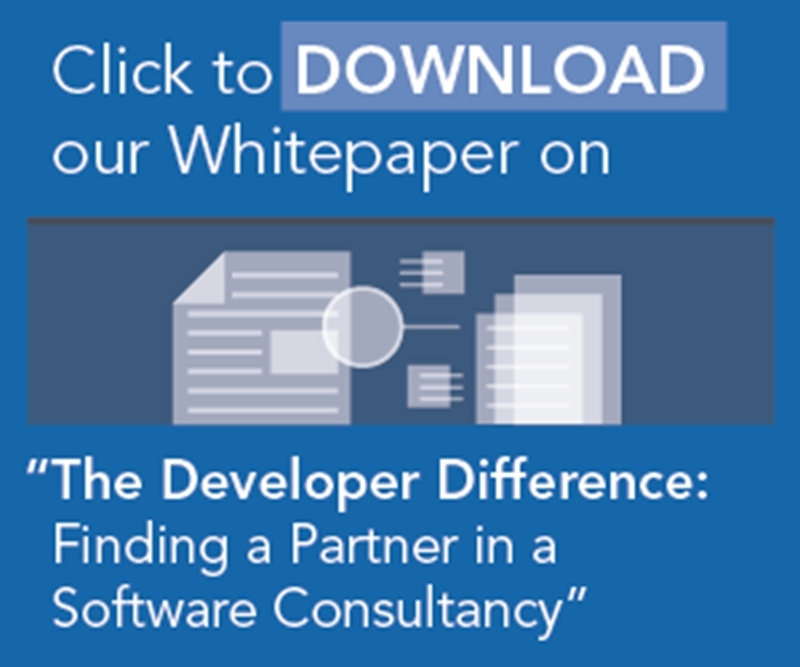 CA Technologies explained that some businesses are improving their application development practices, while others bang their heads against the wall looking for skilled developers. For the former, organizations can consider new techniques such as agile development. DevOps and scrum are both popular, and they put the focus on delivering improvements over time, improving applications step by step and feature by feature. While this approach is a good idea, small changes may not have huge impacts. Therefore, many organizations are just looking for talent all the time. This is obviously necessary, but with major tech firms such as Google, Twitter, Amazon and Facebook always seeking skilled developers, most businesses are fighting an uphill battle. Most IT professionals will opt for more tech-oriented companies, but this could be beneficial for enterprises that need more applications. For example, those organizations could partner with consulting and development firms that can provide employees with specific skills for each required piece of software. This way, businesses get the best developers without the major investment and possibility of not needing that professional in six months. As a final effort to get great software developers and to become a more competitive player in its industry and the "app economy," an enterprise can find tools that make application development a faster, more efficient process. Some firms such as Xamarin offer what's called rapid mobile app development platforms, while tech leaders such as Oracle provide organizations with cloud-based solutions for testing applications with ease. Those platforms can play a large role in application development, especially if businesses want many apps quickly. Closing the application development skill gap might take some planning, but with a team producing high-performing software frequently, the investment will prove worthwhile.